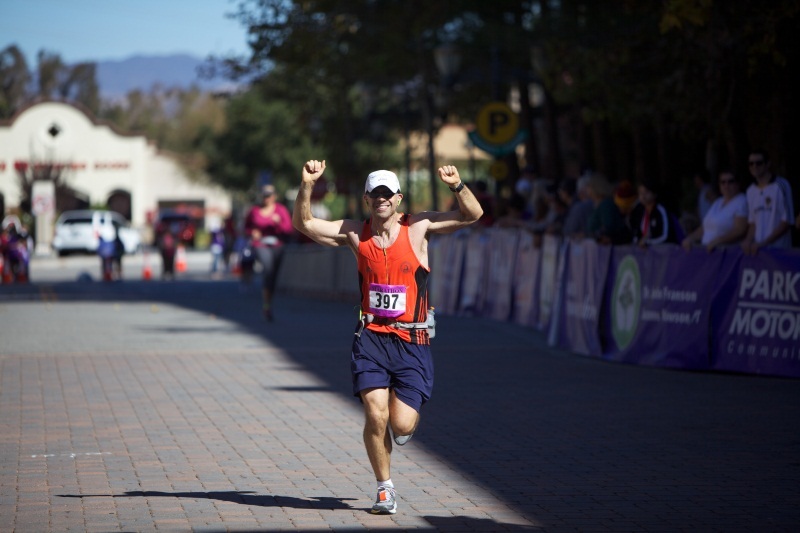 Santa Clarita Marathon Kicks off on Sunday, November 6, 2016, featuring Marathons for all levels. Santa Clarita, Calif. – The Santa Clarita Marathon, which is an official qualifying race for the Boston Marathon, will test the physical boundaries of the human body on Sunday, November 6, 2016. The day will include a full marathon, a half marathon, a 5K run, Mayor’s Walk, and a Kid K run. All races will begin at 7:00 a.m., with the exception of the Kid K, which will begin at 8:30 a.m.
To kick off the Santa Clarita Marathon and get in the racing spirit, the City will host a pre-race Health and Fitness Expo for everyone to enjoy on Saturday, November 5, 2016. The free Health and Fitness Expo will be held at TBA from 9:00 a.m. to 5:00 p.m. and will feature dozens of health-related vendors and information booths. Here, runners may sign up for events and race participants pick-up race bibs and t-shirts. All runners are required to pick up their race packet with ID on Saturday, November 5, 2016 at the Health and Fitness Expo. 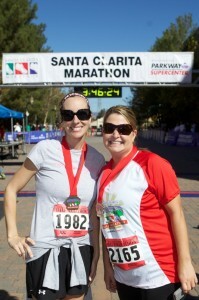 If you are unable to pick up your race packet, someone else may pick up your race bib and t-shirt with your photo ID. Or, you can sign up for race day packet service for and additional $25. Starting between the Hyatt Valencia and Westfield Valencia Town Center, the looped course follows 26.2 miles of roadways, paved City trails, and paseos to its finish line at Westfield Valencia Town Center. 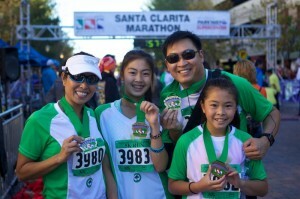 The Santa Clarita Marathon is a Boston qualifier and is USATF certified. Marathon participants must stay under a 15-minute per mile pace to stay ahead of course shut down. The 5K Run is a looped 3.1 mile course that will start and end at Westfield Valencia Town Center. A great event for all ages and all paces. Walkers are encourage to participate in the Mayors’ Walk. A chip timing system will be used for the Marathon, Half Marathon, and 5K. To score in these races, you must wear the chip on your shoe during the race. If you’ve been looking for a way to get involved with the Santa Clarita Marathon, but running just isn’t your pace, then the Mayor’s Walk is for you. This 3-mile community walk is safe, simple, and doesn’t require much training. The Mayor will lead this year’s walk, which kicks off just steps away from the Marathon start line at Mall Entrance and McBean Pkwy. The course follows much of the 5K course and concludes at the official finish line site. All participants receive a Mayor’s Walk finishers medal and T-shirt. Designed to promote health and fitness among children, this non-competitive event for ages 12 and under follows a quarter-mile course starting near Chick-fil-A and follows the Marathon route on Magic Mountain Parkyway to finish under the Marathon arch. Parents may accompany their children or cheer them on at the finish line.